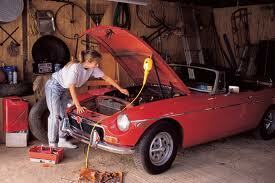 WHAT WOMEN AUTO - KNOW by Phoenix Training , Hardwick In Partnership . Are women constantly getting ripped off at garages and auto shops ??? Maybe , maybe not ? We, at Phoenix Training think that women do , it can be an intimidating experience going into a male dominated environment and can often leave women feeling insecure and unsure of what they have paid for , or what they need . WHAT WOMEN AUTO-KNOW? is a motor vehicle programme to empower women , helping them learn the very basics of car maintenance and giving them the confidence to carry out minor repairs to their cars and to look after and maintain their vehicles. The course is run at Hardwick In Partnerships Enterprise & Initiative Centre , with help and funding from Tristar Homes and ROAP . The course is aimed at women above 17 , living in Hardwick who have a drivers licence and want to learn the basics of maintaining a car . and NOT get taken advantage off !! 1 . Identify Jacking points on a car and learn to change a wheel . 4. Check tyre tread, tread depth , and tyre pressures, and identify tyre sizes and where the information is located on the wheel . 6. Remove and replace wheels and check brakes for wear and tear . Evaluations completed by the women who attended the course rated the course excellent and extremely helpful . They found it fun , interactive and very educational ahd have all said how they would love to take it to the next level . Being ` a women only` course gave them confidence to ask questions, and they said that they were not afraid of making mistakes and did not feel intimidated . The women made new friends and learnt a lot about keeping their cars safe and well maintained . The social impact of the programme was very good with lots if interaction and lots of peer education taking place from those who were a little more confident than others . The programme has been excellent and extremely successful , it has been great to watch the women grow in confidence and complete all set tasks . By the last day they were all confident enough to carry out any of the tasks that were asked of them , all on their own .